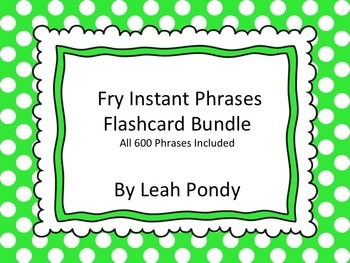 This is a bundle of all 600 Fry Instant Phrases flashcards. It can be used in numerous ways in the classroom, especially to promote fluency. This bundle includes all of my fry phrase flash cards. So check those out! I've given a better deal to buy them bundled rather than separate!